Try this acqua pazza very simple and easy to prepare. 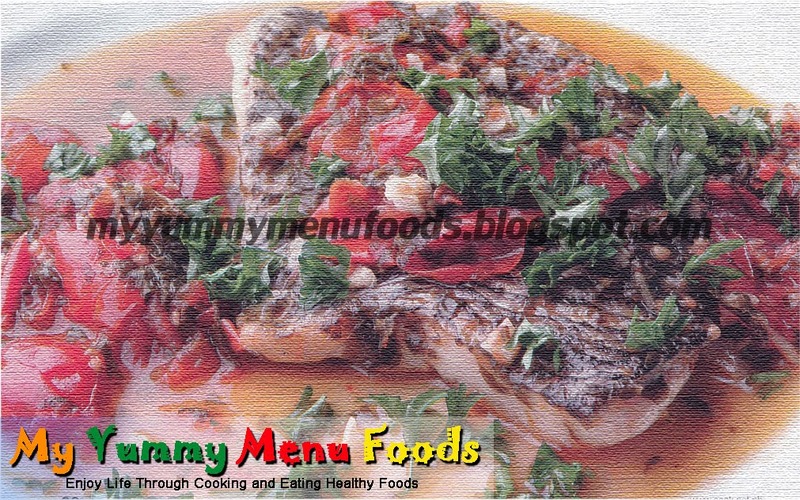 Acqua pazza is used in Italian cuisine to refer a recipe for poached white fish. It is very light and refreshing meal. 1. In an oven-proof pan at least 2 inches deep and large enough to hold the fish in one layer and olive oil, water, parsley, garlic, tomatoes, grapes, red pepper and salt. 2. Turn the stove to medium heat and allow the water to simmer for 20 minutes. 3. Meanwhile pre-heat oven to 400 degrees C.
4. Place the fish in the pan (skin down), transfer the pan to the oven and cook the fish until done (approximately 20-30 minutes). 5. Transfer the fish to warm plate, pour a little of water over and around the fish, make sure you include some tomatoes and serve immediately.